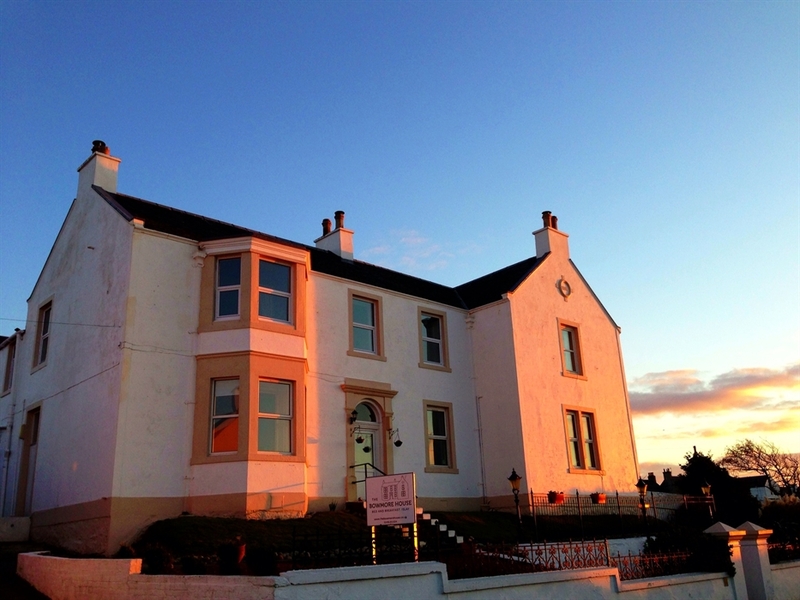 The Bowmore House is an imposing former bank, built in 1898 over looking Loch Indaal, offering accommodation in 5 comfortable spacious bedrooms with large modern en suite bathrooms & an additional 3 bedrooms in a newly refurbished fisherman's cottage next door. Do read our reviews on TripAdvisor. 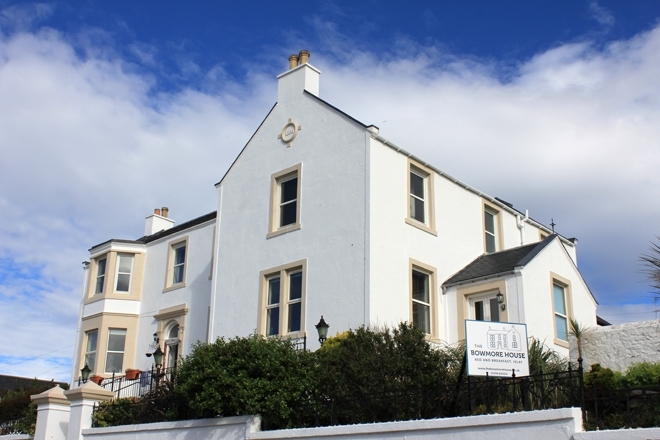 We are centrally located in Bowmore and Islay generally. A short walk to Bowmore Distillery and the shops and restaurants of Bowmore. We offer a personal service assisting as much or as little with your holiday plans as you like. Enjoy free fast WiFi through out the whole house. Start your day with a freshly prepared and locally sourced breakfast cooked to order. We are licensed to serve alcohol so you can retire to your room and enjoy the view whilst sampling some of Islay's finest whiskies. We have an off road car park or only a short walk from the local bus stop. We can arrange taxi or recommend a car rental firm or why not a driver-guide to take you in comfort to the world class distilleries that Islay has to offer. We invite you to make us your Destination Islay!